A week and a half ago I spent a fun 48 hours in Cape May, a visit that was long overdue. I had some time off from work that coincided with a couple days of NW winds. I did a fine job of missing two nice rarities...I arrived about 2 hours after a Swainson's Hawk was seen at the hawkwatch on the 4th, and while I was on the dike for the morning flight on the 5th an apparent Gray Kingbird flew past the hawkwatch. 0 for 2! 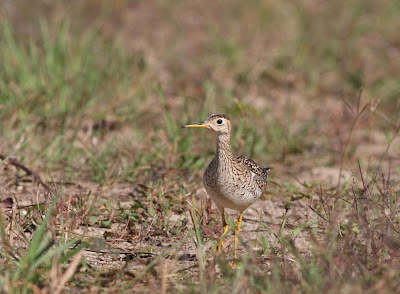 Overall it was a good time though, with many quality birds to be seen. And the morning flight, while not outstanding by Cape May standards, was still fun (and incredibly humbling) to observe. 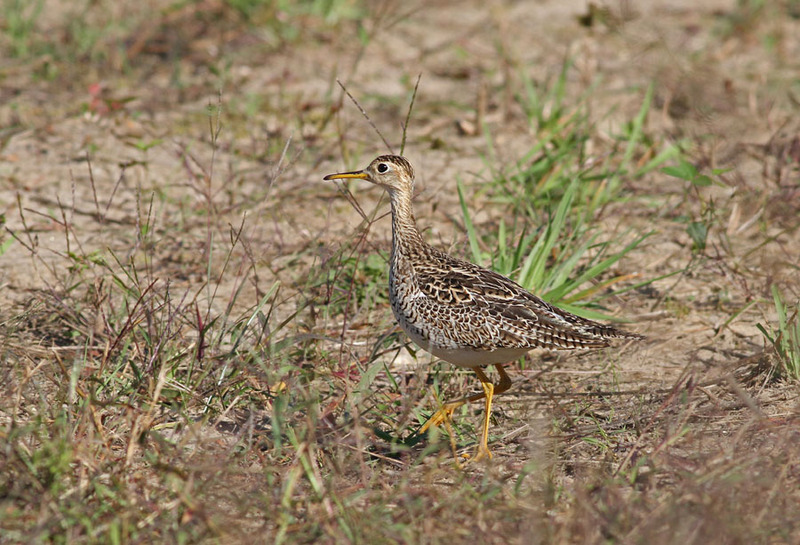 a walking brown-backed bird with paler markings. 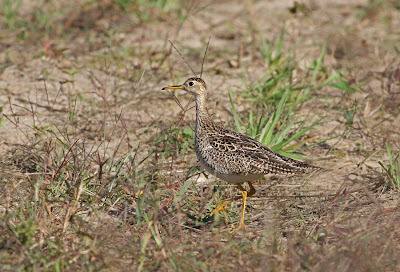 Hmm...that description in a tall weedy field in New Jersey in October...Yellow Rail?? Nope. 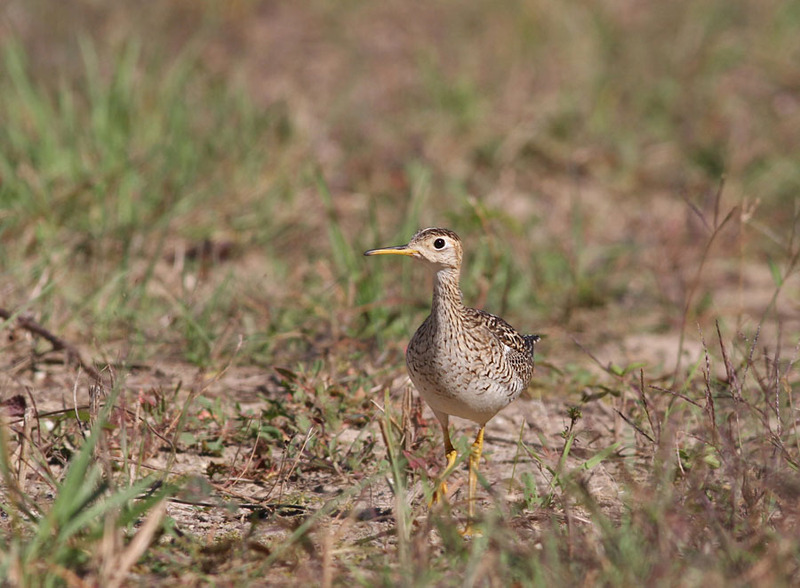 While I stood perfectly still a stupidly tame juvie Upland Sandpiper walked out of the weeds, onto the path, and just stared at me for a while. The bird was too close to focus on so I backed up a few steps to get full-frame photos. I carefully texted Tom Johnson who came over from the dike. Unfortunately the light was not good. We approached the bird from another direction while trying to get on the sun at our backs as best we could. 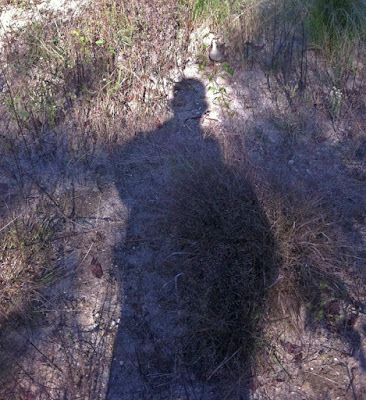 We sat on the trail and the bird only came closer. After it disappeared back into the weeds I stood up to relocate it, realizing it was still only 10 feet from us. Rather than being startled by the 5-foot-11 human standing over it, the Uppie simply glanced up at me and walked closer. 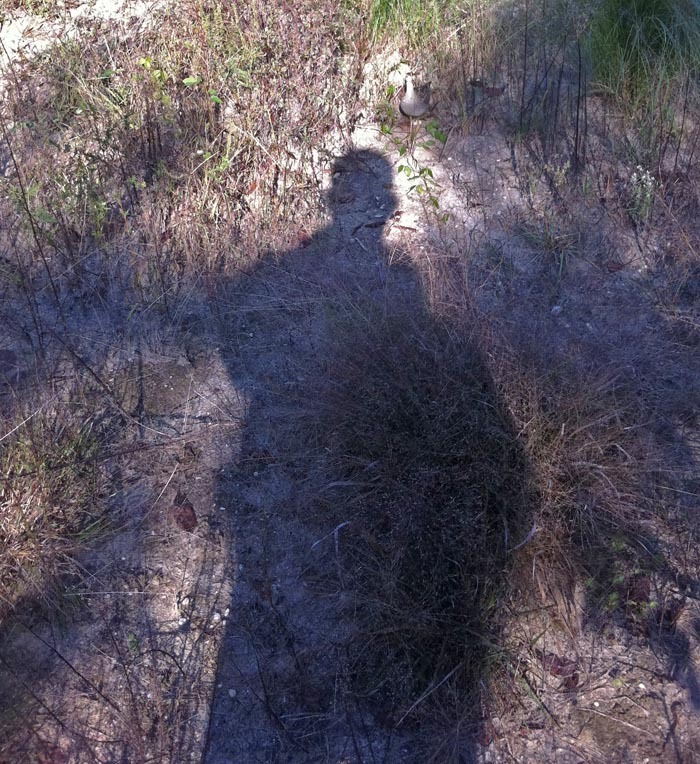 It proceeded to walk through my shadow and directly between me and Tom, who was still lying in the middle of the trail. Tom watched naked-eye (no need for optics, much too close for long lenses) as it crossed the path a foot or two in front of him. I just stood there in disbelief. Finally, after several minutes of keeping us company, the Uppie scampered back into the ragweed in pursuit of a cricket. Yes, one of those birding moments that doesn't come along very often.